Repainting your kitchen cabinets is a great way to give them a fresh new look while protecting them from damaging elements. 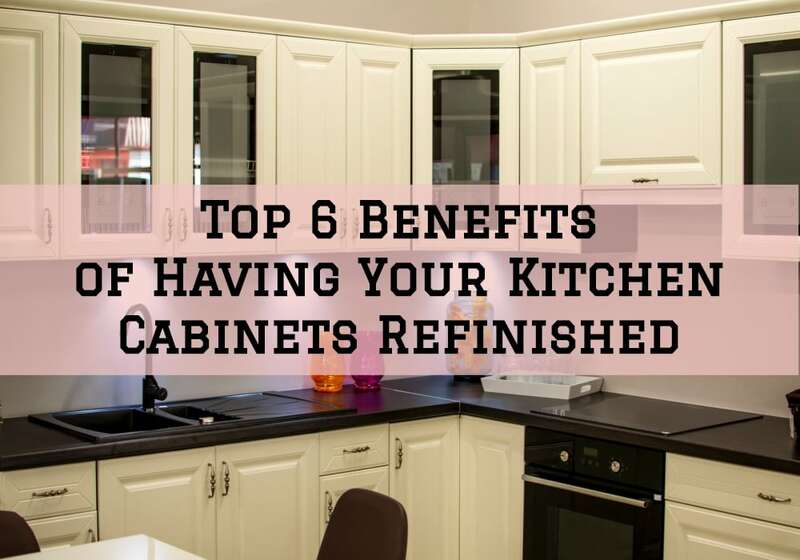 If you’ve been scouting around for kitchen refinish services and materials, you must have noticed that repainting kitchen cabinets is not particularly a cheap project. Many homeowners underestimate the time and effort required to update an old set of kitchen cabinets until they try the DIY route. The cost for materials, tools, and labor can quickly add up if not managed with skill and experience. When thinking about saving some money on cabinet repaint, hiring a professional is probably the last thing that would come to your mind. But our decades of experience in the painting industry suggest otherwise. Cabinet refinishing is not only a labor intensive but also a technical project. There is an endless list of things that can possibly go wrong during DIY cabinet repainting. Things like painting over old loose paint, skipping the primer, and using the wrong type of paint, can cost you heavily in the long run. These, in addition to wrong painting techniques, can cause the paint to start peeling, flaking or bubbling within months of painting. A professional painting contractor will do thorough surface preparation, using the latest painting techniques and tools and, choose the best materials (paint, primer, caulk, etc.) for your types of cabinets. All these add up to a quality, durable and attractive finish that won’t need costly touch-ups anytime soon. Now that you’ve made up your mind to work with professional painters, your next no-brainer move is probably to hire the cheapest painting contractor you can have access to. Well, if you ask me, choosing a painting contractor is more-or-less similar to choosing a tailor–you get what you pay for. This is not to say there’re no affordable painting services out there. But in order to get that diamond in a rough, you will need to do some leg work. This involves sourcing for quotes from highly rated and experienced local painters and comparing them to get the best value for your money. Don’t be tempted to automatically go for the cheapest painting on the list–chances are they’re cutting corners here and there. Choose a painter that offers a clear and detailed quote that covers all your needs. If you have some experience in painting and refinishing cabinets and woodwork, you can offer to take on some basic tasks in order to cut down the cost of labor. For instance, taking down cabinet doors, cleaning and sanding are fairly simple if you have some basic skills. However, note that surface preparation is very critical to achieving attractive and durable results. So if you have any doubts in your capabilities, this is something you want to leave to professionals. Also, when hiring a professional painter, notify them in advance and ask if it’s ok to take on some of these tasks before proceeding. Hiring a professional painting contractor to work on individual projects separately might cost you more. Combining several painting projects at once will leave you some room to negotiate for lower rates without a compromise on the quality of the results. For example, if you need kitchen cabinet repainting now, but are also considering repainting your interior a little later, you can try and squeeze up a date that will allow them to be done at the same time. 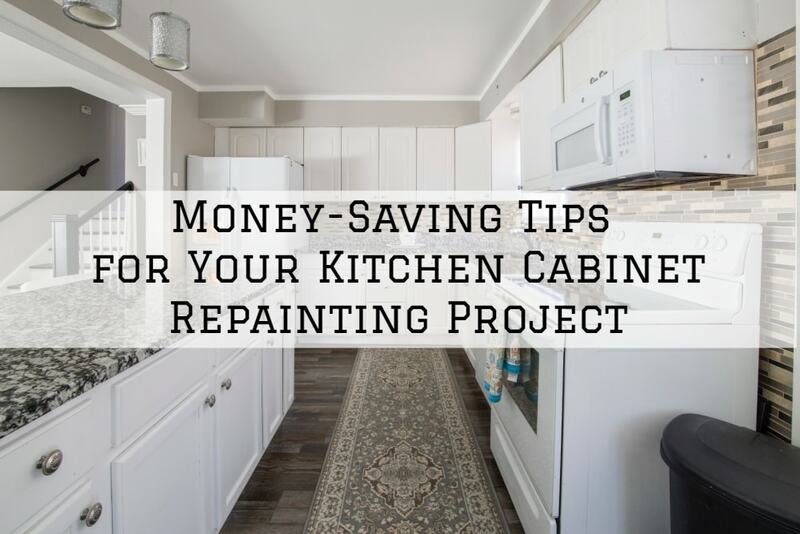 You don’t necessarily have to break a bank in order to repaint your kitchen cabinets. With the above money-saving tips, you should be able to hire a painting contractor at an affordable fee and still get some quality results. If you’re considering repainting your kitchen cabinets, Matthew’s Painting Company can help! Our crew has decades of experience in cabinet refinishing, currently serving the areas of Warsaw, Syracuse, Lake Tippecanoe area, Winona Lake area, Columbia City, Indiana, and surrounding Indiana cities. Contact us today for more details or a free estimate!